St Francis De Sales (1567-1622), Bishop of Geneva, Doctor of the Church, Feast: January 28, Patron of Teachers, Writers, the Deaf. 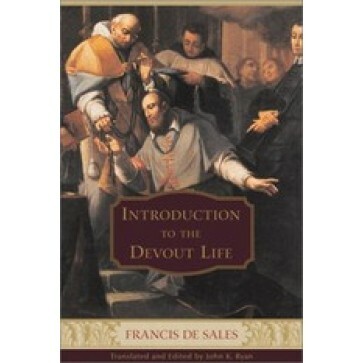 'Introduction To The Devout Life', published in 1608, is St Francis' s best-known and loved work. In a warm and personal style, he explains the requirements for a devout life of prayer, practicing the virtues, resisting temptation, maintaining a good marriage and worshiping God and other topics. After almost 400 years, his clear writing translates easily for modern readers and the book remains a widely read and cherished guide.